Weather can take a turn for the worse with little to no warning. Following severe or extreme weather patterns has proven to be a great, albeit dangerous, way to study weather conditions. Some people even choose to chase extreme weather out of curiosity alone. 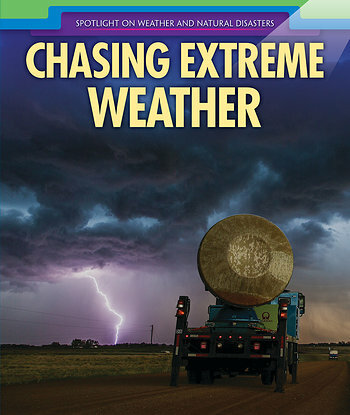 This book provides information about different types of storm chasers, the technology they use, and the reasons they choose to put their lives in the path of danger. Primary sources and full-color photographs aid readers in understanding just how extreme weather can be.